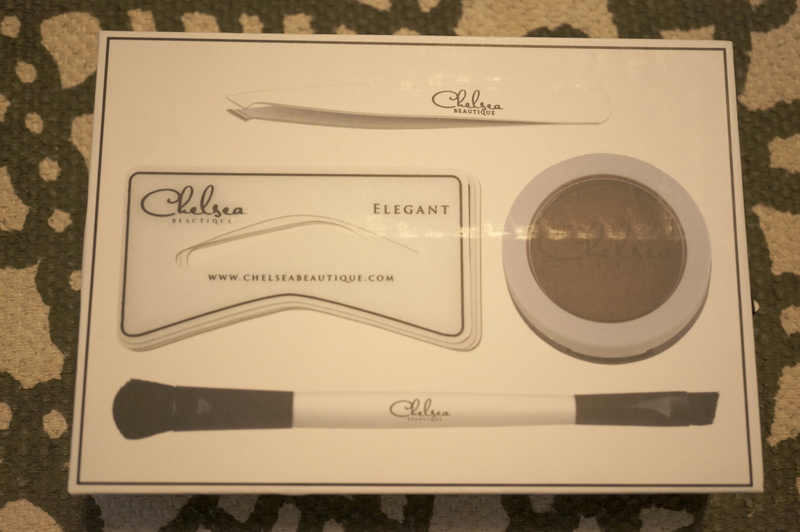 Today’s review is of the Chelsea Beautique Brows Kit in Chestnut. 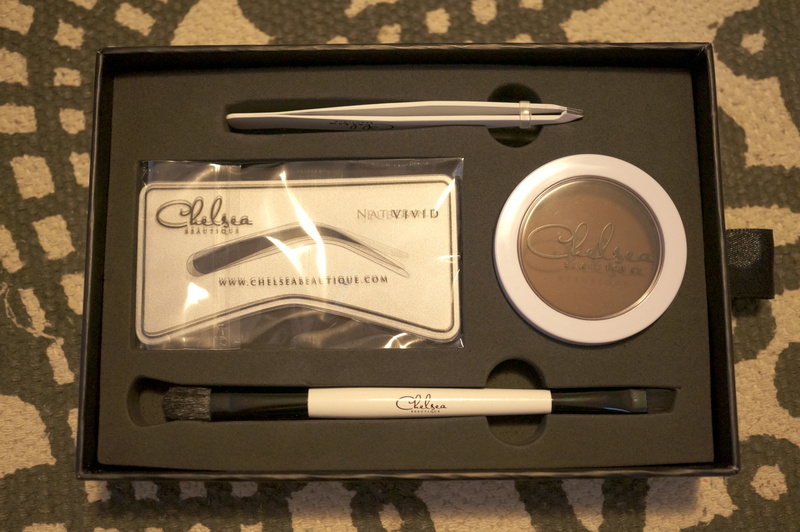 The kit comes in a high quality matte card box, with pictures of the products on the front and it opens with a pull out drawer. Inside, the products are held in place with a foam backing, it definitely looks and feels like a high quality set! 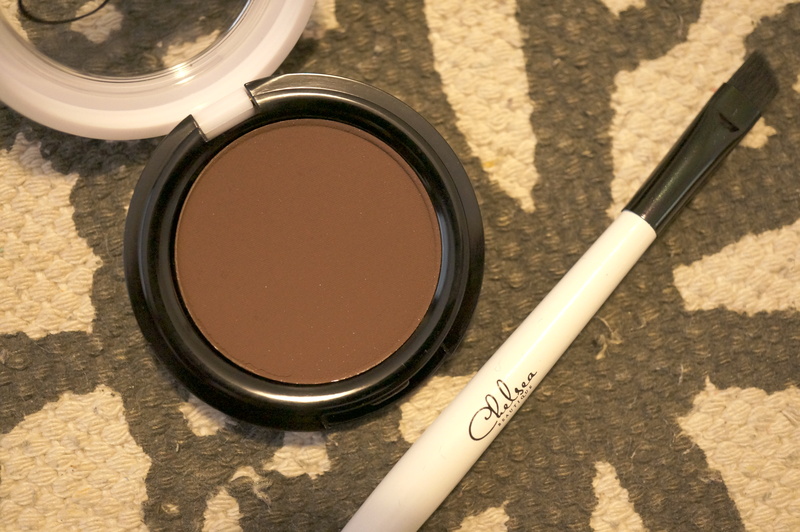 I chose the eyebrow powder in ‘Chestnut’ which is a warm mid brown. I thought this may actually be too reddish for me but the colour blended in well and looked natural compared to my hair. 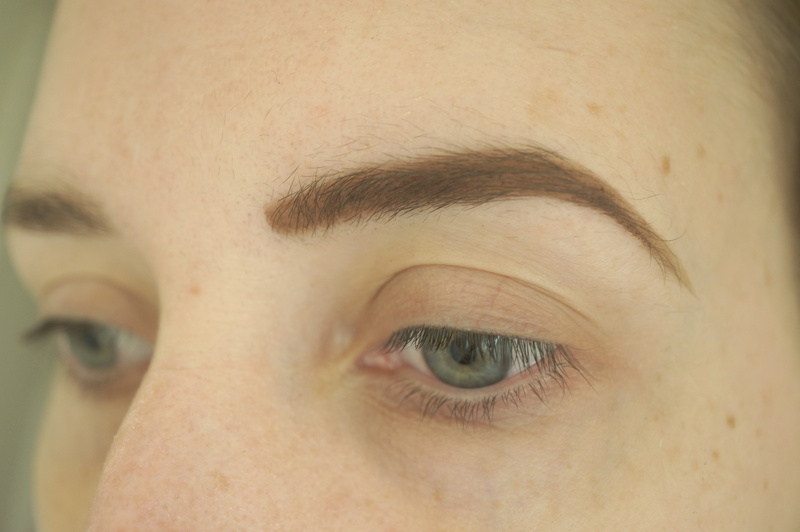 The instructions advise you to choose an eyebrow stencil that closely matches the shape of your brows, then simply place this over your brow and apply the powder with the brush supplied. I chose the ‘Naturale’ shape with the rounded end. Of course you don’t have to use these if you don’t want to, you can just use the powder as you wish. 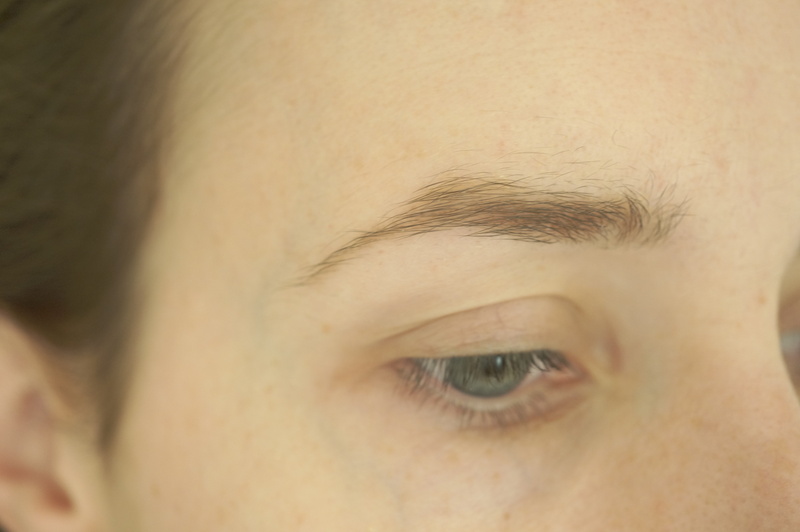 So, this is what my natural brows look like – with no makeup on my face whatsoever! 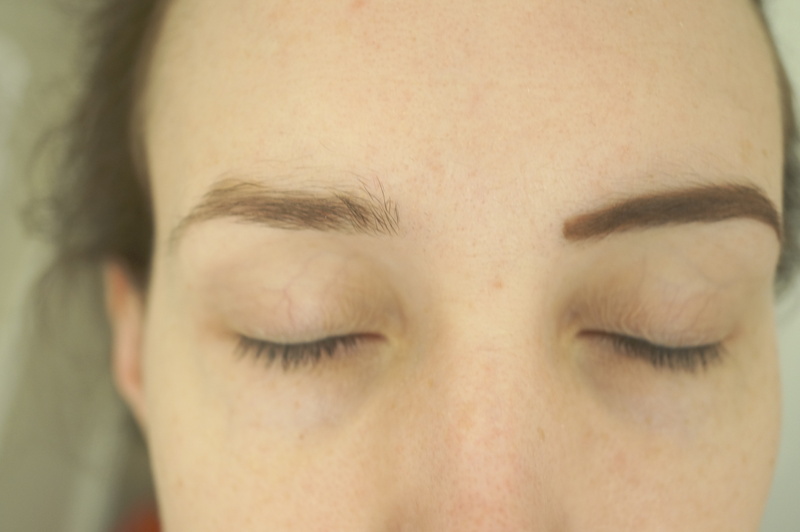 As you can see, I have fine hair, and my brows are pretty sparse and could really do with a tidy up! And this is what it looks like with the powder on. It’s definitely worked well, it was my first attempt and I think it has come out a bit on the heavy side, but the good thing about the fact that it’s a powder is you can apply as much or as little as you like. I’ll try to be a bit less heavy handed next time!! 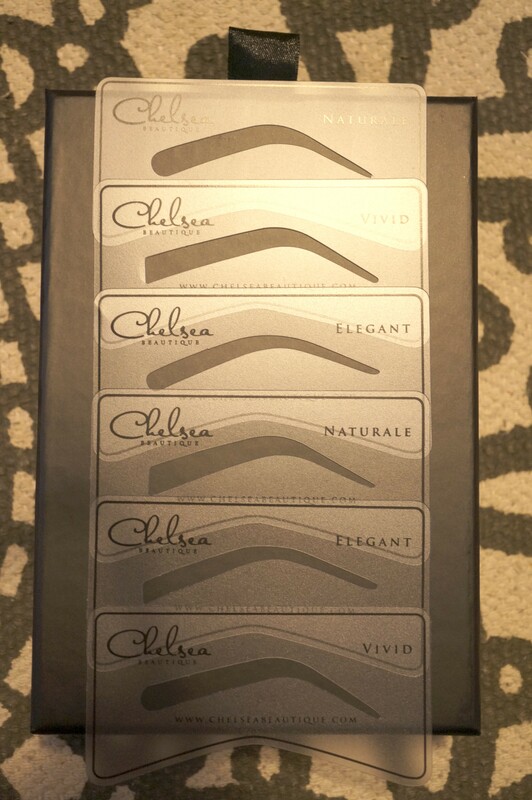 What products do you use on your eyebrows? Have you tried a powder? Oh wow these look pretty cool, I’ve never seen anything like it and would love to try the stencils! Great review!